epub.us - KILLING LINCOLN KILLING LINCOLN - It's Over 9000! Bill O'Reilly's groundbreaking Killing series received more positive reviews and prestigious international awards than you can count, and every single time the author manages to deliver yet another gripping, thrilling, facts-based book that conquers the hearts and minds of countless readers around the world. This time around, the man decided to write about the assassination of Abraham Lincoln, one of the greatest leaders the United States have ever seen. It took one single shot to forever change America, and there's no going back from that. The years-long Civil War was finally over by 1865 (by spring, to be exact), despite the fact that you could still smell the gunpowder all over America. The president offered Lee some quite generous terms for surrender, and that was his way of trying to bring the nation together and forgetting about the horrors of war. However, a small group of men - killers - were not really moved by Lincoln's speeches and had only one goal: to kill the man and to create chaos. They say they had accomplices in the highest ranks of the American government. We know the name of the murderer - it was John Booth, a charismatic fella, and a racist. Naturally, those loyal to Lincoln started a nation-wide manhunt, and the President's killer became the most wanted man in the United States in a matter of seconds. 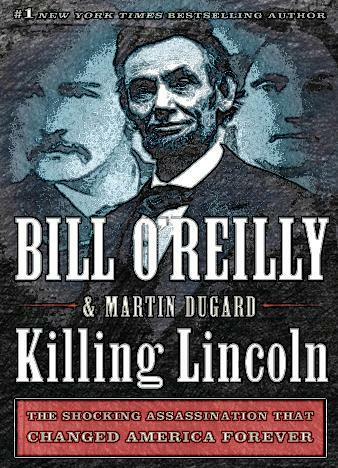 Now, despite the fact that Killing Lincoln is 100% based on real historical facts, Bill O'Reilly's superb writing style, action-charged narrative, and page-turning thrill turned this book into a delightful, exciting and revealing blockbuster to enjoy on a cold Sunday night.